Question 9: How did people cope with the loss of real wages in the 1980s and 90s? 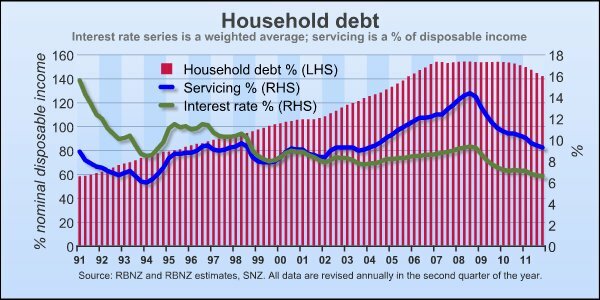 In New Zealand average household debt went from 60% of GDP 15 years ago to 150% today. This is the second most indebted in the OECD. Much of this went into housing with the banks fuelling a housing price bubble as prices doubled since 2000 – the same as they did in the UK and Australia. We were told not to worry. We were encouraged to use our houses as an ATM machine. Average household expenditure exceeded average income on average about 6% for those 15 years but increased to 15% in the mid 2000s. In the 3 decades before 1980 households saved on average about 10% of their income. I first became a member of Unite Union in 2009 when a notice of “initiation bargaining” went up on the notice board. I contacted Unite to ask what the Union was about and what was initiating of bargaining. I joined Unite as myself and other crew members were looking at getting better working conditions, rights and wages and to be treated fairly in the workplace. In the store I worked in there was a lot of favouritism and if you didn’t “perform” your hours were cut. This was a breach of the collective agreement, since hours can’t be cut as punishment but only depending on the operational requirements (i.e. sales are low) of the store and your own availability. Also new staff were being hired when existing staff were wanting more hours which was again a breach of the agreement. At times crew were not getting their breaks – another breach. Crew need their break so they don’t get fatigued which can cause a serious hazard not just to themselves but also their workmates. 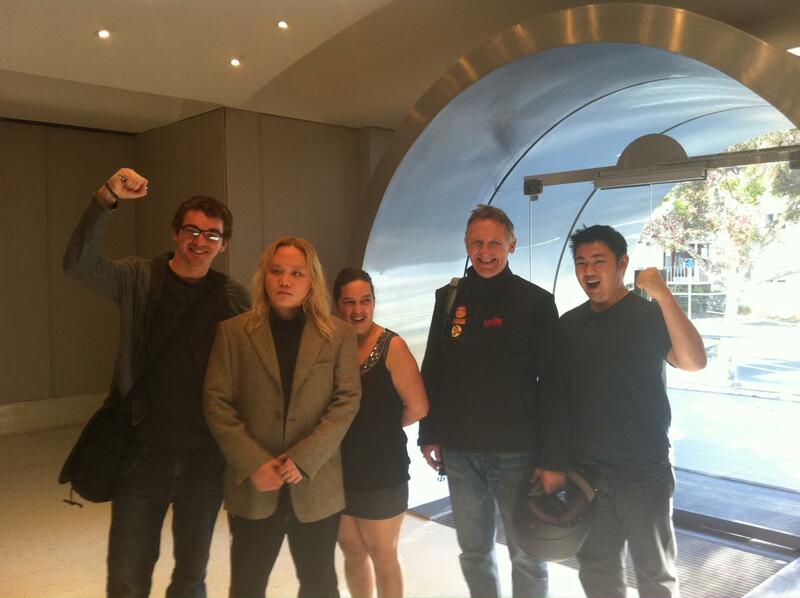 When I first joined Unite I asked around the other crew members if they would like to join. After that I got a phone call at home from my restaurant manager asking if i was talking to people about the union. I said I was so he told me to stop it and hung up on me. I contacted Unite. The same restaurant manager would not allow me into the office at work to photocopy union material but also the first aid kit was in there so couldn’t be accessed easily. Again I contacted the union. The restaurant manager no longer works for BK. In 2009 I got nominated to be the store delegate and was sent me up to Auckland to the Unite conference where I was elected to the national executive of the union. 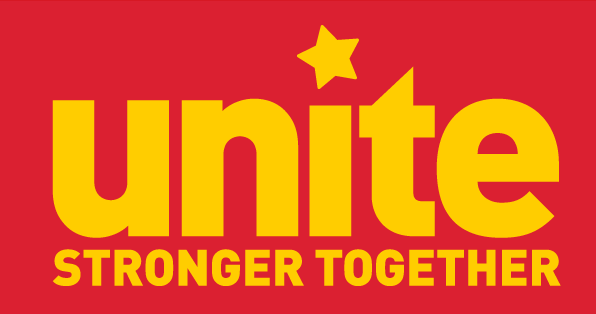 I am now a Unite Organiser for Palmerston North and surrounding areas, helping others daily to empower themselves, be treated fairly and to get better working rights. I’ve learnt that when Burger King workers get organised we can get better wages and fair conditions. 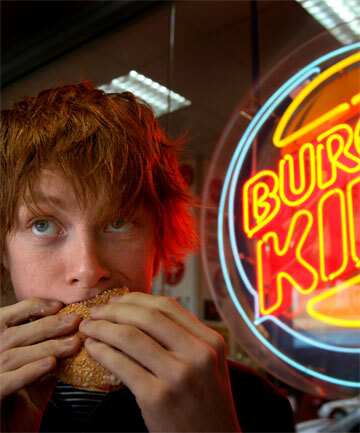 Burger King – standing up to bullying and loss of hours. Unite union helped Burger King worker Lynette Frays with a case of bullying at her store, where a manager had shouted at her unfairly, creating a scene that caused hurt and humiliation, in front of customers in a busy store. Lynette had previously refused to leave the union when this had been suggested to her by managers, which we believe caused her to be targeted for unfair treatment. The union contacted Andrew Connor from BK Head Office, and arranged a transfer for Lynette until the manager was disciplined. We also made sure that she got her hours back when they were cut. If you are being bullied or have your hours cut by a manager for no good reason- contact Joe at 029 44 55 702. The article below by Steven Cowan has been taken from the Blog “Against The Current”. 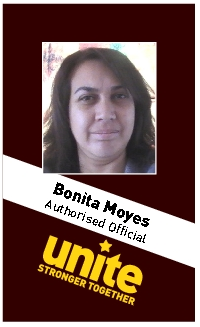 The case was resolved at mediation and Julie remains at BK and is the Unite delegate for her store. 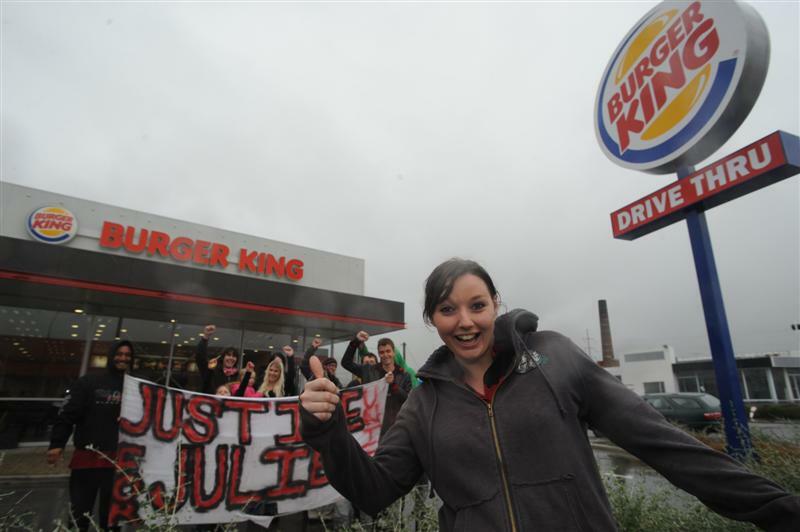 27 year old Julie Tyler was suspended by her boss, Burger King, for speaking out about its low wages and poor working conditions. BK is the second largest fast food chain in the world. In the fiscal year ending in June of 2010, the company reported sales of approximately $2.5 billion and had 38,884 employees. Julie wrote on her Facebook page: ‘Real jobs don’t underpay and overwork people like BK does’. Fair enough – but BK management in Dunedin weren’t happy that Julie had been writing about her dismal wages and working conditions. She was promptly suspended. BK haven’t sacked Julie but have now given her a second final written warning. Julie was already on a final written warning after two previous complaints, including one where she told an abusive customer, “Like you need it”. She had faced dismissal if involved in any further incidents. BK workers are often abused by customers. Julie, who is being fully supported by the Unite Union, says she stands by her comments. The fast food industry, both here and overseas, has a well deserved reputation as not being a good place to work if you want to earn a decent living. BK are no exception. In New Zealand, as the economy continues to shed jobs that pay adequate wages, jobs in the fast food industry are becoming increasingly important. The days of the fast food industry being mainly a workplace for teens who need spending money are largely a thing of the past. In 2009 Social Development Minister Paula Bennett signed an agreement with McDonald’s to provide it with 7000 beneficiaries for the fast-food chain’s restaurant expansion plans. 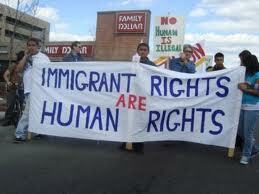 But while the fast food industry’s importance in the economy grows, the low wages and poor working conditions remain. Fast food companies are determined to make their product at the lowest possible cost. 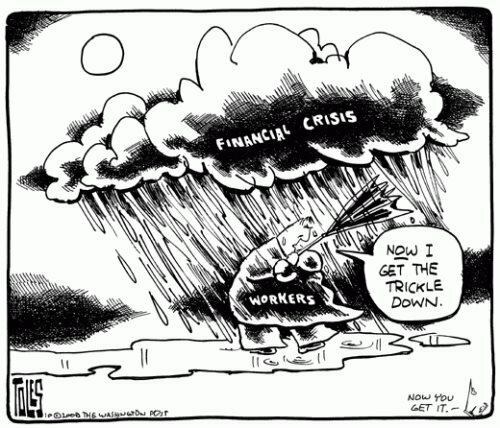 That means keeping wages down. McDonalds, as the pioneer fast food company, set the trend for other companies. The others, like BK, have followed. While it pays its workers peanuts BK’s executives are doing very nicely, thank you. In 2006 the bonuses of the top 12 executives at the company that controls Burger King exceeded $200 million. In 2009 John Chidsey, the CEO of Burger King, was paid $5,475,000. He was replaced in 2010 after BK suffered a 13 percent profit fall. In contrast BK workers like Julie Tyler get paid the bare minimum and are expected to be ‘respectful’ to the company that exploits them. Unite and McDonald’s have worked together in helping an Indian assistant manager, who was terminated from his job, to find other employment. The manager had booked his ticket home but after contacting the union he was reinstated and backpaid for his lost earnings. The manager had been working for his McDonald’s franchisee for three years. For the first two and a half years he did five graveyard shifts a week. For the last four months he has done two to three graveyard shifts and two day shifts a week. Four weeks ago the franchisee’s area manager approached him to transfer to another store and do exclusively graveyards again. He objected that he needed to keep working some days and manager said he had to do at least two a week or he had to resign. He asked if he could choose the graveyard shifts, the manager said no and told him to resign if he was unhappy. The consultant also said it was in the contract that he had to have open availability. This assistant manager felt he had no choice but to resign. He gave three weeks’ notice. After he gave notice he was only rostered to work for two weeks and the franchisee said they would deduct $250 from his final pay because he was part way through his ASM training. He also booked his ticket home to India because his visa was conditional on him working for McDonald’s. At this point the assistant manager sought assistance from the union. We challenged the “resignation” and told the franchisee that this was effectively a “constructive dismissal” because the assistant manager was being forced to resign by being given unreasonable “choices”. We had a meeting with the franchisee’s area manager immediately, stating the union’s views on the case and telling them we required three remedies – pay him the third and final weeks pay, drop the claim for $250 and transfer him from the franchisee to a store owned by McOpCo, McDonald’s parent company in New Zealand. We also approached the HR Department at McDonald’s head office for help, who also had communication with the franchisee and area manager concerned in helping resolve this issue. The union has upped its visits to Wendy’s stores, as we begin to bargain for a new contract for 2012. We secured a pay increase across most pay scales in April as the contract rates for crew are set as margins above the minimum wage which increased by 50 cents an hour. The supervisor rates also increased by a similar percentage. However in negotiations for the new new contract there are other conditions that we seek to improve besides pay. 1. We want to introduce a Union members only Benefits package that we have already secured for workers in KFC, Pizza Hut and Starbucks. This would give workers a discount book and card with many 2 for 1 deals in restaurants, cinemas etc. There would be an annual Union festival at Rainbows End, and a Christmas bonus – a hamper, voucher, ham or turkey to help with the celebrations. Members would also be covered by a life insurance package of up to $10,000 value for themselves and $5000 for a partner in the event of any death – which would also help migrant workers with costs of repatriation to their families. Finally, the union, in conjunction with the company, can arrange interest free loans of up to $500 for members who have an emergency. This loan will be paid back by arranging some extra hours every week, to help with budgeting. Together, these 5 elements will make working at Wendy’s a lot more enjoyable and the company can afford it by dropping 2 or 3 of their expensive TV ads from their yearly advertising budget. 2. Workers want more transparency when it comes to their payslips and payroll systems. They want a record of Days in Lieu owed. The company is again pushing for pay day to be changed to a Friday which will affect workers automatic payments. We are looking for more input from workers into what they want to see in a new payroll system. 3. In Wendy’s we have won a good clause for secure hours. However, the open availability conditions are somewhat draconian. If a child has soccer practice once a week, or a member has religious obligations at their place of worship, then this currently counts against open availability. We believe that this should be relaxed to allow workers some freedom to plan events with community and family. Three years is also a long time to wait to qualify for secure hours too. We will seek to reduce this, and to also look at seeing if open availability around hours can be split between weekly and weekend workers. 4. Pay increases in Wendy’s pay scales are sometimes based around performance, rather than the completion of training modules or length of service, which is the norm in other fast food restaurants unionised by Unite. Workers who have been with the company for two years, three years, five years etc, deserve an increment after length of service. We are holding claims meetings at the moment in all Wendy’s stores to get more input from workers. Members should think about what you would you like to see in your new contract? 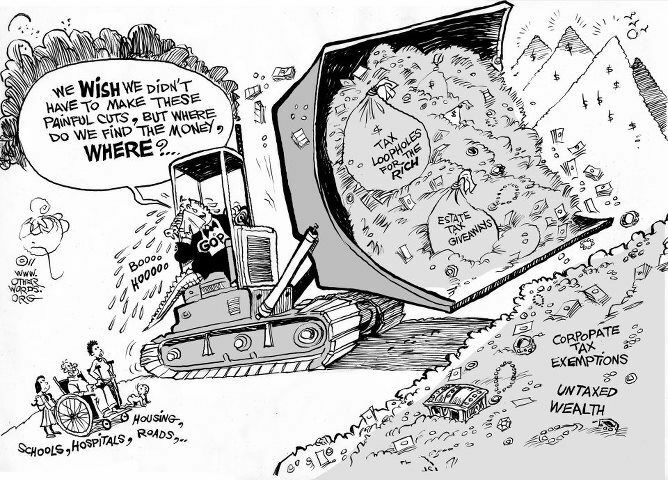 Issue 1: How does the Public Sector view asset sales? Are Union members protected? Issue 2: Are League Tables an effective measure for public servants, should we be implementing them in education? and Issue 3: We changed our labour laws for Warners to make the Hobbit, yet TVNZ News reveal that Warners have closed their NZ offices – when should we change labour laws for corporations?